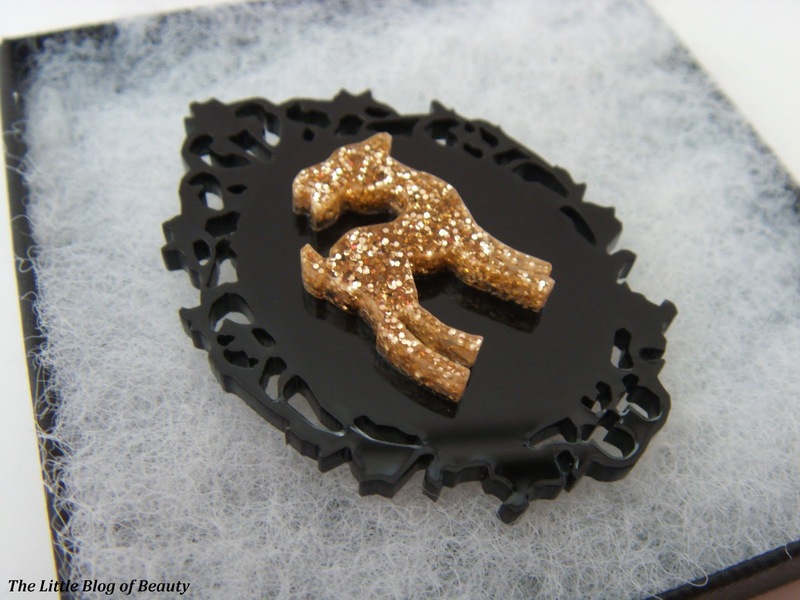 Back in November I blogged about a fab little brooch that had caught my eye from Funky Laser (you can find the post here). I love this little brooch, that now lives on my berry coloured coat, so imagine my excitement when Funky Laser popped up a photo on their Facebook page of their new glitter version. I knew I'd have to have that one as well! I was looking forward to the Funky Laser stall at The Clothes Show Live last year but unfortunately I didn't see them as they weren't there for the last few days and I went on the final day. I did however pick up a 25% off voucher so I thought I'd treat myself to this. In the run up to Christmas Funky Laser offered free delivery and also a free gift with all orders. As I used the 25% off code and got free delivery I didn't expect them to include a free gift as well (that would have been a little too cheeky!) but they did and sent me an amazing word necklace that I'll blog about in the future. 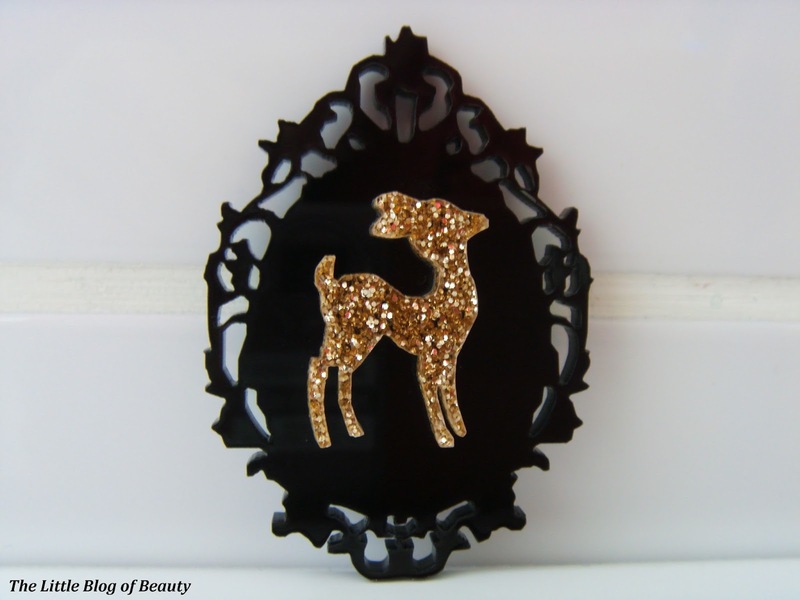 Funky Laser are again currently offering 20% off all products and free delivery, so you can grab one of these in silver mirror, gold mirror or gold glitter for just £4.80 delivered. So if you'd like one, or would like to take a look at their other products, get yourself over to the Funky Laser website now!